Spider-Man is a fast-paced, love letter made from Insomniac Games to give players the experience of playing around in the entirety of New York City. 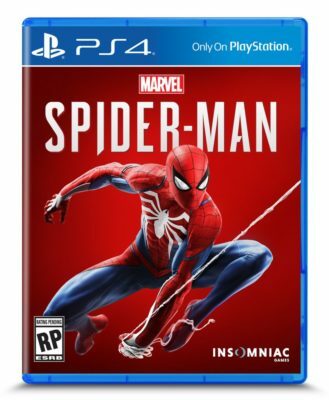 The game is fantastic with its integration of the many gadgets that Peter Parker owns, throwing you straight into the action as you are tasked with capturing Wilson Fisk. The controls are a bit complicated at the beginning and will have you smacking into buildings a lot as you first start, but are easy to follow after an hour in. The game’s story is one of its biggest strengths. It centres on a 23-year old Peter Parker who already has a career at Octavius Industries and an already experienced Spider-Man roaming the streets. The story is very centred on how the duality of being a masked vigilante and a scientist who wants a social life can’t survive for long. The gameplay is smooth, having a very Batman: Arkham feel to it. However, it is better paced than the Batman series, giving the player time to understand every upgrade rather than throwing too much at you too fast. The game itself is jam-packed with things like side missions that are welcomed distractions and make the relationship between Spider-Man and the community of New York itself seem that much stronger. The extras to collect in the form of backpacks are lovely easter eggs to webheads past and give great backstory to this incarnation of Spider-Man. Half-way through the campaign, players will become a bit fatigued from the fighting system, however, taking a swing around Harlem to Hell’s Kitchen feels somewhat cathartic, giving a sense of peace that a drive around town or a walk in the park would usually have as well. The boss battles do range, starting extremely strong with Kingpin to somewhat monotonous in the middle battle, yet it never feels boring or dreadful. The setting feels lived in and immerse, detailing the atmosphere of New York in all its glory. The city that truly never sleeps has multiple events happening all the time, simply put, the game is bursting with content. Even when roaming around as Spidey, he is in character with his wisecracks and his own Twitter that he goes on far too often. But this is just the dorky jokester we’ve all come to appreciate and love. The game does shift from just the perspective of Parker, allowing the player to play sections as Mary Jane, as an investigative reporter, to a young Miles Morales attempting to help Spider-Man as a semi-sidekick. These areas are never longer than they should and are fun breaks from the main campaign. Overall, Spider-Man 2018 takes all the positives from the pieces of all games previous to it and combines it into an action-packed adventure that leaves the player wanting to play through it all over and over again or just to come back and swing through Manhattan for an hour to get their mind off things.